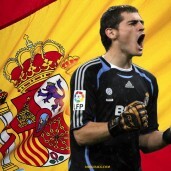 Iker Casillas, Spain national team goalkeeper, equaled the world record of Dutchman Edwin van der Sar in the number of matches without a goal. The match with Venezuela (5-0) was the 72nd match with no goal scored. The “Marca” newspaper reported that after Wednesday’s triumph the 30-year-old Casillas needs only one victory to reach the record of Lilian Thuram, who in the matches with France gain victory 94 times in 142 matches. 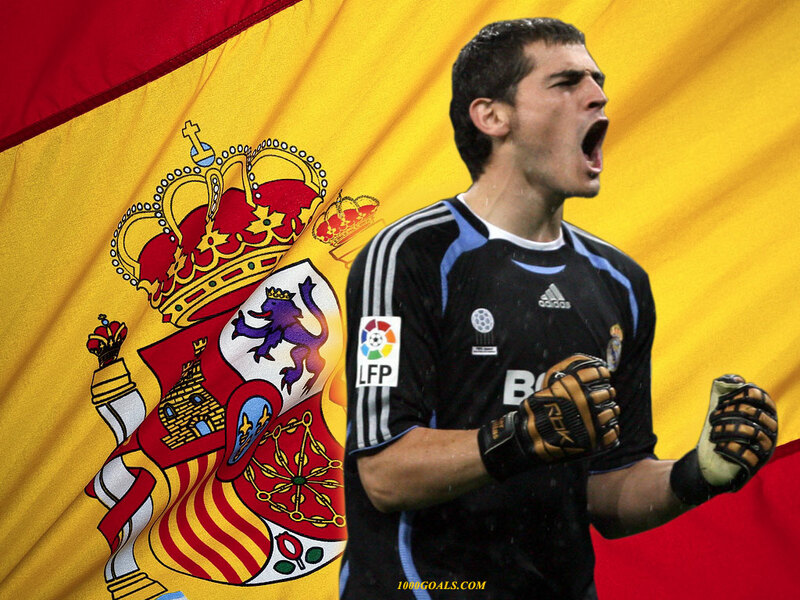 Casillas, who has been in Real Madrit since 1999 (first-team debut) has played 128 matches so far. The player comes from the city of Mostoles, in which, moreover, one of the streets has his name. On Wednesday evening, world and European champions beat Malaga Venezuela with the score 5:0 (2:0) and Casillas was saving goals for 90 minutes. The list of scorers includes Andres Iniesta and David Silva as well as the substitute Roberto Soldado, who in the second half of showed a classic hat trick. Guests ended this match without Fernando Amorebiety who was given a red card. In the senior team Casillas debuted on June 3, 2000 in the match with Sweden. Then he was 19 years and 14 days. Since 2008 he has been the skipper of the team. He won the world championships in 2010 in South Africa and the European Championship two years ago in Austria and Switzerland. He also took part in the European Championships in Portugal in 2004 and World Cups in South Korea and Japan in 2002 and Germany in 2006. The record of played matches belonging to the legendary Andoni Zubizaretta (126) was improved in mid-November 2011 in a friendly match with Costa Rica (2:2). In Group C Spain will play in Gdansk with Italy, Ireland and Croatia.